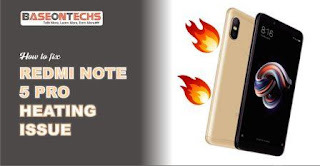 Redmi Note 5 Pro Heating Issue: Why Is It Hot & How To Fix Hotness - BaseOnTechs - Learn To Do It Yourself. Yeah, I know how it feels like when making use of your phone and the temperature heats so bad. At times it may even affect battery, reduce battery life making it die earlier than expected. I must remind you again not to worry about the Redmi 5 heating issue. You are not leaving without a solution to your problem. But before we proceed, it is really important to know why your phone is heating this way, maybe you can possibly sort it all out yourself. WHY IS REDMI NOTE 5 PRO HEATING SO BAD? Below are common reasons why Redmi note 5 is heating. Using your device so long, so often can simply make it hot. Playing video games, browsing the internet, reading an e-book and many more at a time on your smartphone may lead to overheating. So you should try to minimize the use of your device. Limit usage to when really necessary and not just anytime. 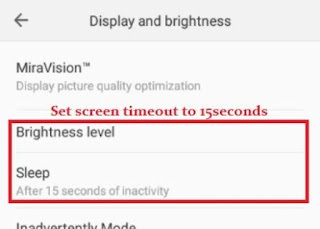 Maybe the particular Redmi note 5 pro you bought has faulty hardware and you have no idea about this. Of course, it can be the major reason why your phone heating. That's why I always recommend the advanced guide to buy a phone before making an attempt to give your money to a seller. No doubt even though your device Hardware is all intact and has no significant problem, turning on WiFi or Mobile data connection normally increase phone temperature and may add to your heating device. Limiting usage of the above mentioned when necessary is very important if you really need a solution to the problem. must take if you really want to get rid of the heating issue. First, I recommend you run the Redmi note 5 heat test in order for you to make sure it's not just a common warmth case. Issues like this usually resolve in a few minutes. Watch this short video to see the heat test result of the above-mentioned phone. Now, it's not enough to go to any market place of your choice and get a new battery for your smartphone. Instead, this is what to do. Go to the nearest Redmi Office or a well known, registered phone reselling companies and ask for your phone kind of battery. They will give you good quality, original battery or may ask you to come back later if your request is not available at the moment. #Get a new and original battery. Third-party apps are those applications you have downloaded from other sources and install on your phone. In short, these are apps that were not inbuilt or manufactured with your device. Deleting them will very much reduce phone heat. Games with Apk+Obb: They consume RAM, battery life and increase phone temperature. Background Running Apps: These are apps running secretly in the phone background without the owner's permission. The best thing to do here is; delete them. Even some useless in-built apps can do this. They run in the background doing nothing valuable, only work best at consuming battery, reduce RAM and increase phone chances of getting hot. Since Redmi note 5 pro easily gets hot quickly, you should, therefore, avoid getting your smartphone exposed to direct sunlight, hot surfaces and shouldn't be packed in tight containers. You should have known by now that torch lights get blurred out by time if left ON for a long time. The same thing applies to your smartphone. 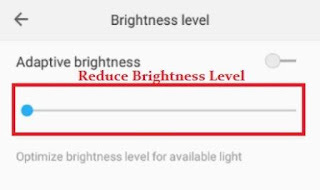 High Brightness level kills the battery faster than the low brightness level. 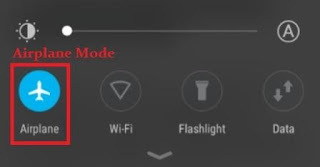 Reduce screen brightness in a dark area. Set display time-out to 15seconds. See how to increase battery life if your battery drains so fast. I have mentioned earlier that data connection can possibly reduce phone performance whether on phone or your personal computer. You should make sure you turn ON airplane mode whenever heat signs come up or anytime you have nothing to do with your data connection, or when you're expecting no incoming calls. Of course, this can be an issue you don't know about. Phone cases cover the whole of a phone, causes more heat to your device and may add to your Redmi note heating problem. So if you have any case on your phone, remove them and see if your device temperature calms down. Do you know that low storage space can affect a phone negatively? Low storage space reduces phone ability to perform its tasks more effectively, reduce phone speed and may even cause a normal device to heat. Not talking about Redmi note 5 this time. In a case like this, insufficient memory will reduce phone performance and make your phone to heat, making it inconvenient for you while operating. Make sure you free up as much storage space on your phone to reduce the heat on the device. Phone heating problems are usually not common issues to be overlooked. Overheating is normal, it may be as a result of hardware damage and other factors. The hotness may lead to many negative effects on your mobile including; weak battery, poor performance, etc. Finally, for anything to come out successfully, you must learn what works. 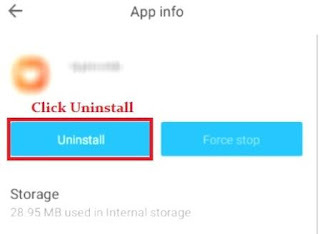 And you've just learned how to fix Redmi Note 5 Pro Heating Issue. It's now left for you to apply what you have learned here in order to solve the problem yourself. The above steps have been tested and confirmed, so you have nothing to worry about. If anything is unclear to you please don't hesitate to call my attention in the comment section. 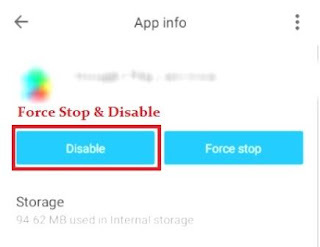 The same thing applies if you have a suggestion, addition or any other method you use to fix Redmi note 5 pro heating issue. Don't go yet there is, even more, to read in the home page. Like what we do? Connect with us. Like us on Facebook, follow on Twitter, join Telegram Group chat. Subcribe for free updates. Send Follow Sylvesterchidi9 to 40404 (free SMS, no later charges) to get free updates.